When you donate, your gift allows Texans Can Academies – Austin to change more lives through education and literacy. Through our accelerated curriculum and reading program, we serve students who have struggled for various reasons in traditional high school settings and help them earn their high school diploma. 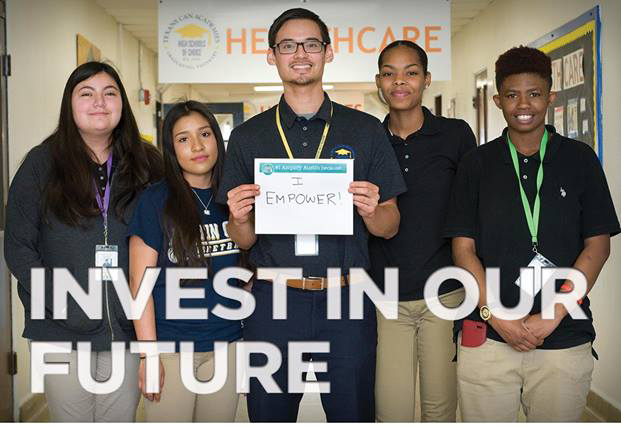 Currently, 400 students, averaging at seventeen years old, are enrolled in Texans Can Academies – Austin. Eighty-seven percent are below the federal poverty level.